White plastic pressure or microswitch tap with swivel faucet and either stream or shower type water outlet. 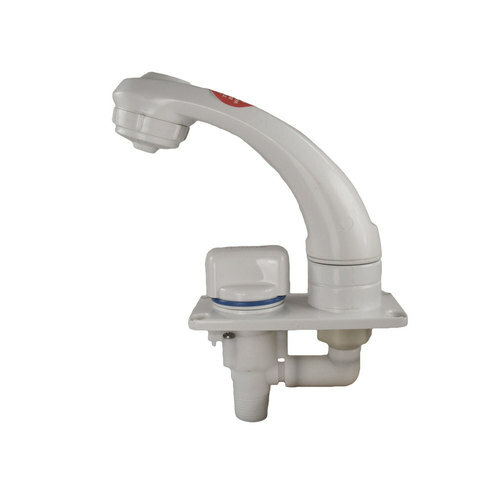 High quality, nicely designed and durable pressure or microswitch tap with swivel faucet and either stream or shower type water outlet. Constructed from robust ABS and Acetal with Neoprene components these taps are extremely durable and practical. 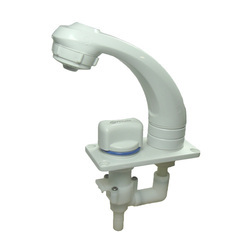 This microswitch tap has a swivel faucet which is extremely useful if space saving or a neat appearance is required. Designed to be used on water systems up to 35psi (2.4 bar). Installation can be very simple. Place the tap base over an adequate size hole and fasten with the fixing holes (fixing hole plugs are provided to hide the screws). 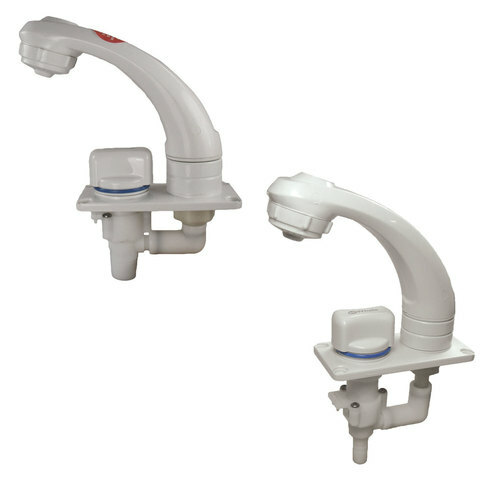 The water hose can be attached to the push on hose connector and held with a hose clip or using the BSP thread depending on the model selected. (Full installation instructions are provided).